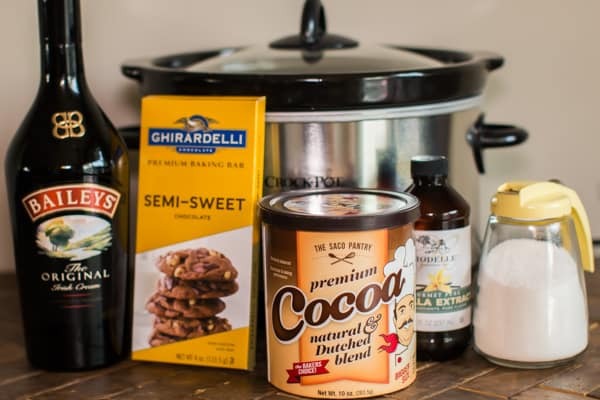 This Slow Cooker Baileys Irish Cream Hot Chocolate is perfect for the adults at your Christmas Party! Hi all! I hope you are having a great December so far. 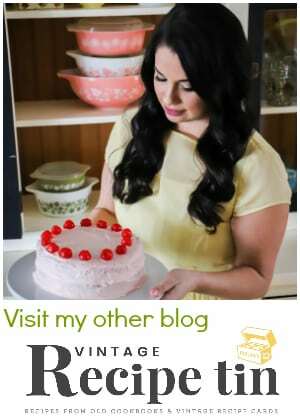 I had thought I wouldn’t post any holiday recipes this month and take a break, but I seem to keep making them! This hot chocolate has the perfect amount of chocolate, cream and vanilla. I add the Baileys Irish Cream just before serving. Normally on Christmas morning we have Baileys available to pour into our coffee. It always seems too strong me, not in this hot chocolate recipe. I think the blend of chocolate and cream balance out the flavor of the Irish cream, helping it taste not so overpowering. 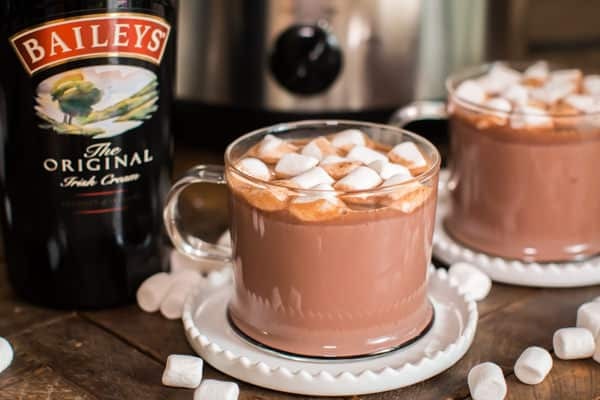 If you have kids at the party the Baileys can be set on the side for the adults, so they can have hot chocolate too. I usually use chocolate chips for my hot chocolate in the slow cooker. 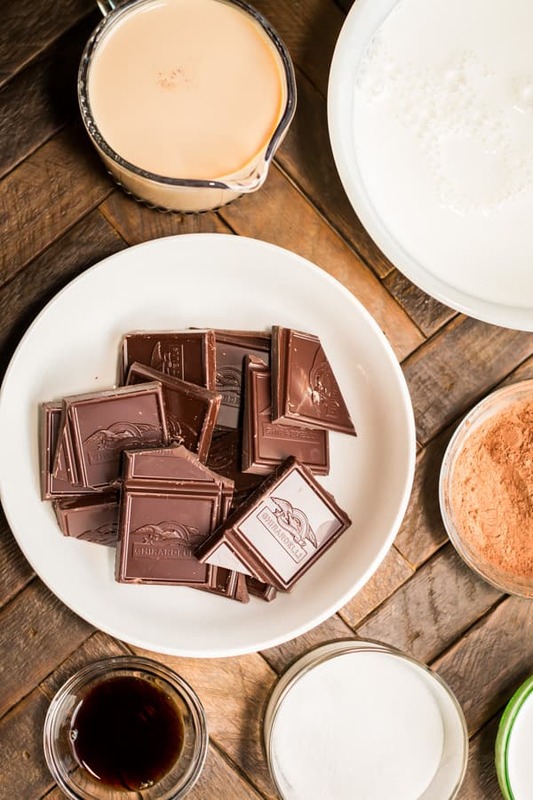 This year I tried the Ghiradelli chocolate baking bars and cocoa powder. The flavor came out perfect. I also use a cup of heavy cream to make the cocoa taste rich. I also add a whole tablespoon of vanilla extract. 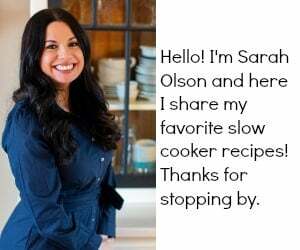 Let me tell you, you will have people asking you for this recipe! It’s that good. 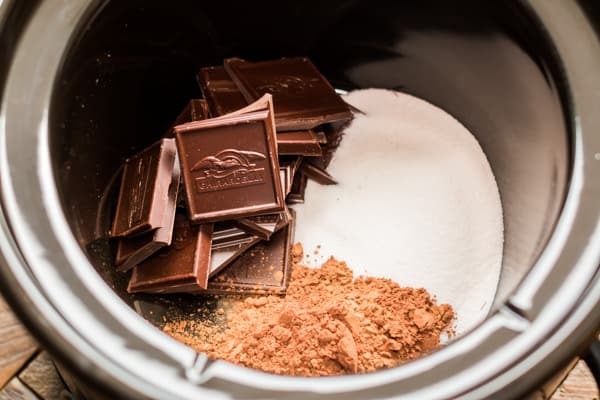 It only takes 1.5 hours for the chocolate to melt, and the cocoa to heat up. Then I add the Baileys Irish Cream. 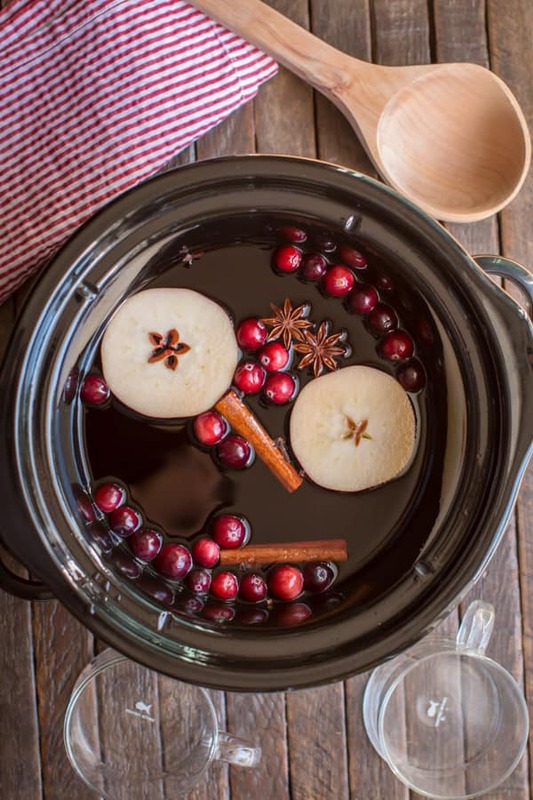 Be sure to switch your crock pot to warm for the party. I worry about the alcohol cooking out if left on high. 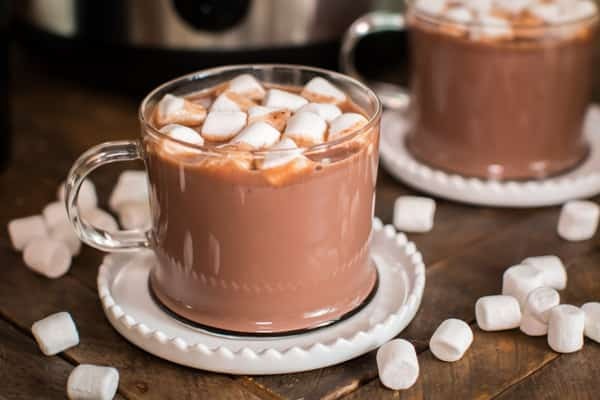 I served this hot chocolate with marshmallows, but whipped cream would be great too! Below is my YouTube video of this recipe. You can follow me on YouTube here. 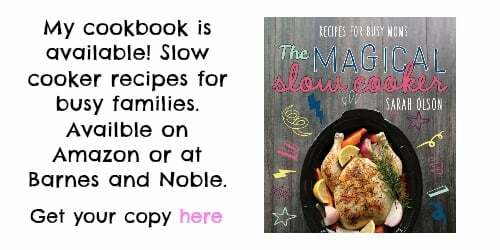 Break up the chocolate squares and add the slow cooker. Add the remaining ingredients (except the Baileys). Cover and cook on HIGH for 1.5 hours stirring every 30 minutes. 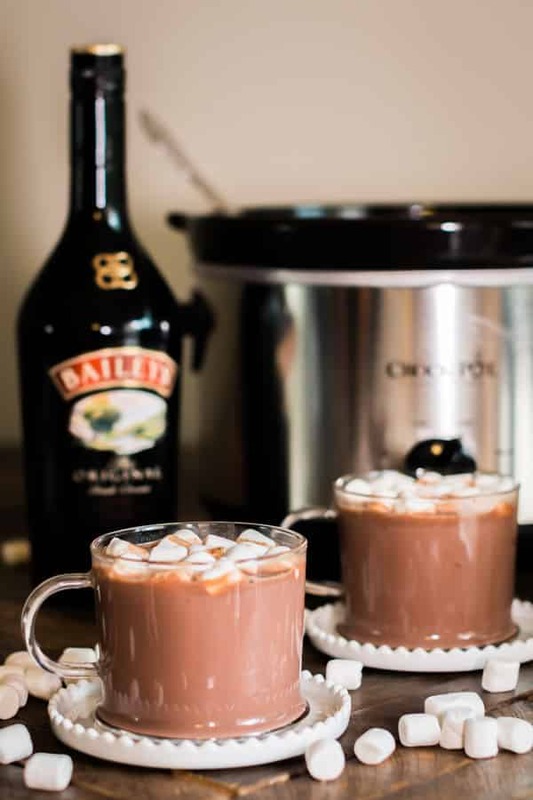 After the cocoa is hot, stir in the Baileys Irish Cream. 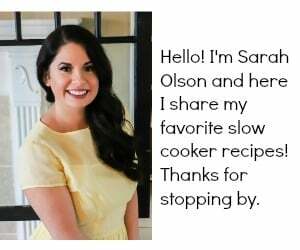 Set the slow cooker to warm for serving. 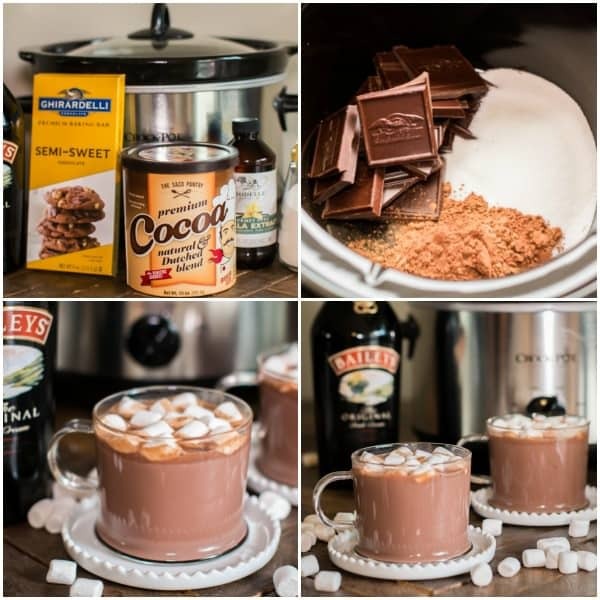 The Baileys Irish Cream can be left out and set on the side if you have kids or others at the party that will have hot chocolate without. Sounds absolutely delicious. Will have to keep it for Winter though as our Christmas is very hot down under. Have a very Merry Christmas.